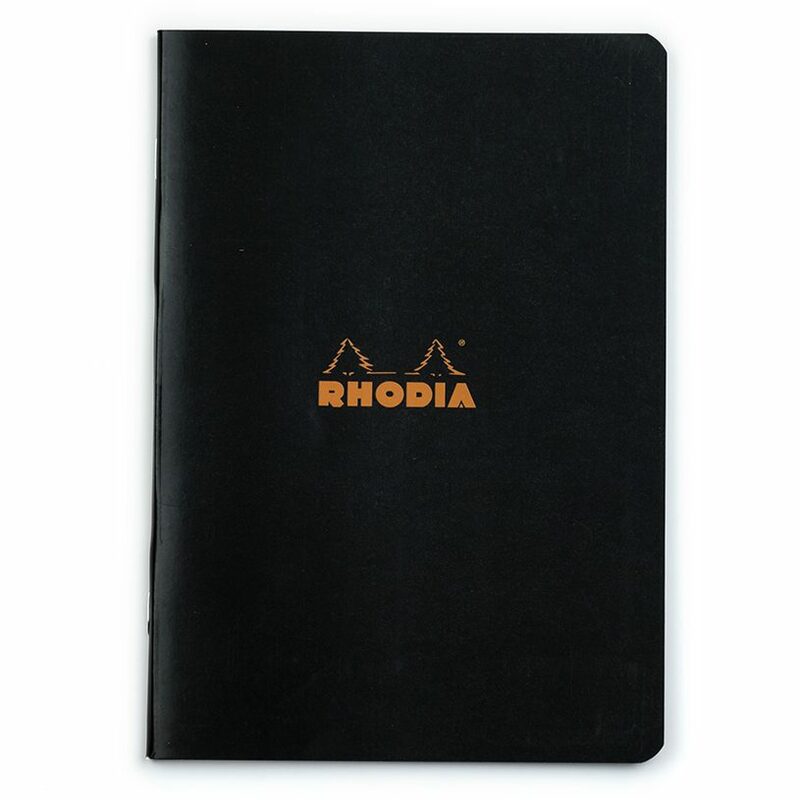 These Rhodia Classic A5 notebooks contains 48 sheets (96 pages) of quality Rhodia 80 g/sm2 paper. 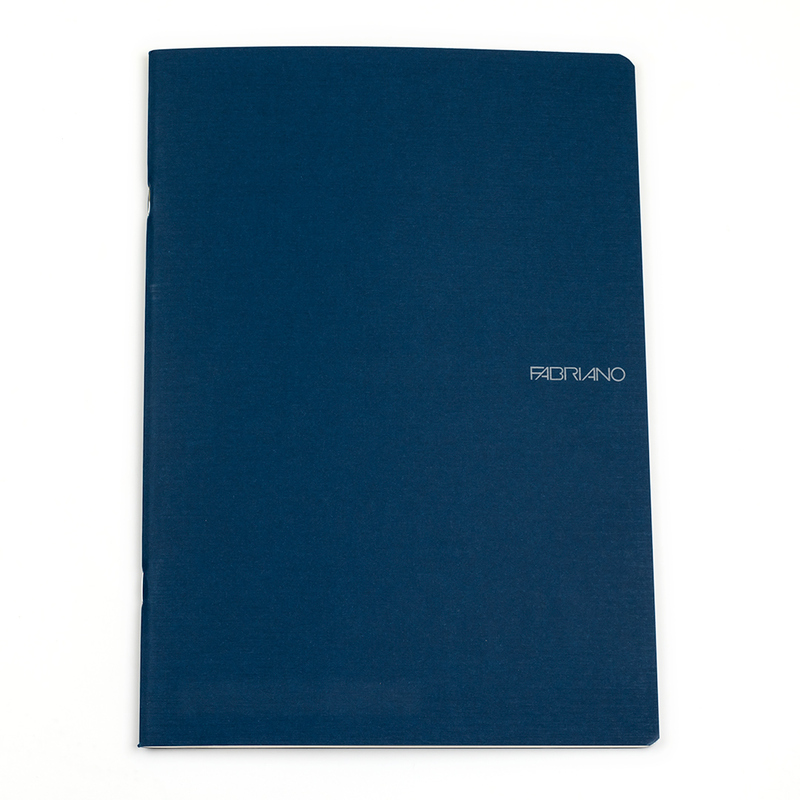 The paper is bright white color, the 5mm graph ruling is subtle blue. 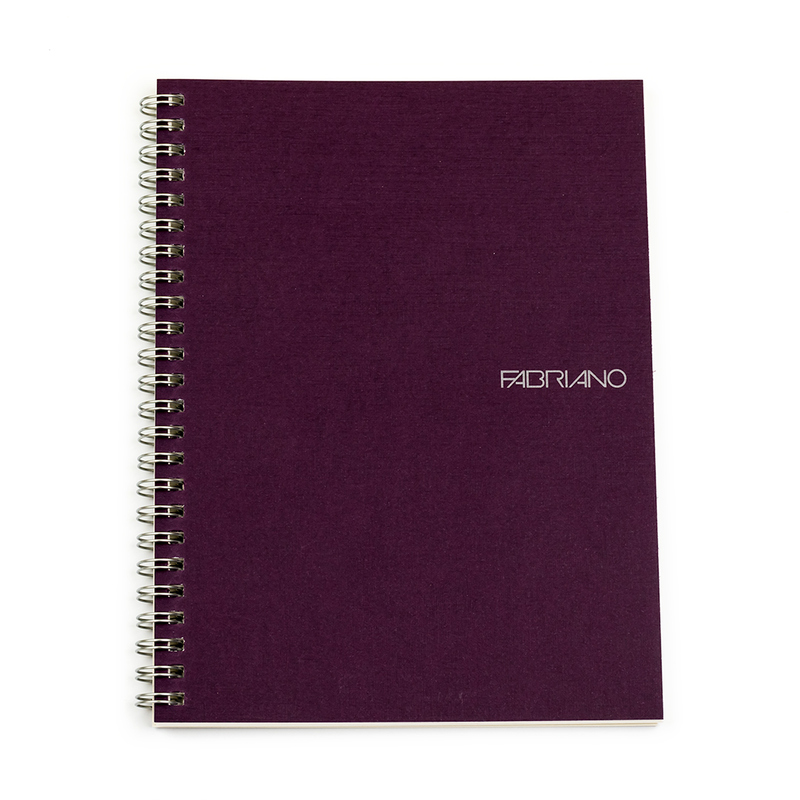 The notebook has a sturdy cover of black card-stock with single Rhodia logo in the center. 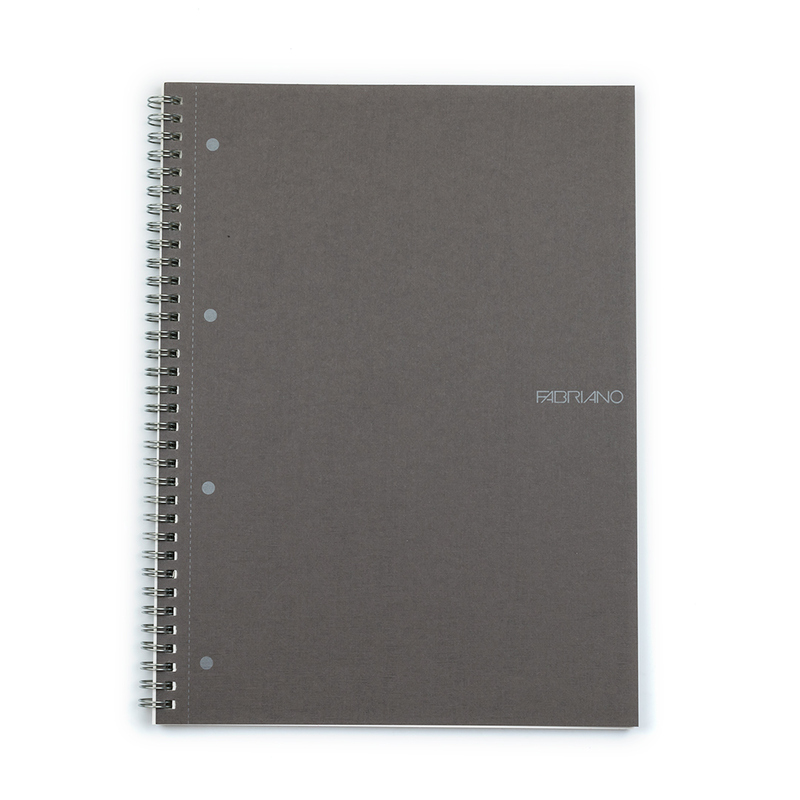 Bound with two metal staples.